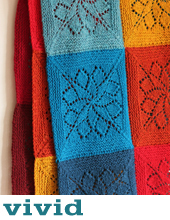 Quite a few knitters have been asking us (and asking us) since we first began to share images of this blanket, when the pattern was finally going to be available! Well Bounce is ready for you to cast on today! This blankie has been approved by Max, by our tech editor, and by test knitters all around the world! Perhaps it is the perfect knit for your couch, or that very special baby who is coming soon? Sizing: Stroller (throw/crib) sized blanket measures 27 (32)” wide by 33 (43)” long. The sample shown is the throw/crib size. The blanket width can be adjusted by adding or subtracting a multiple of 12 sts (2.75”). Bounce is essentially a simple heirloom piece, but it includes a couple of lace stitches that may be new to you. Well, we have named 2016 the Year to Learn Something New, and have a Knit-a-Long (#TCKnewtricksKAL) running in our Ravelry Group right now, so join us and get all the support you need. What’s a bit tricky about this knit? Well the lace pattern is worked both on RS (right side) and on some WS (wrong side) rows. So instead of sighing into a nice long purl row, you will occasionally need to pay attention, and work a decrease that you might be unfamiliar with, the sl2tbl-p1-p2sso. This ‘wrong side’ lace happens on 2 out of the 12 pattern rows. Fear not! We have a clear video tutorials to cover the central double decrease worked on the RS (it’s a sl2-k1-p2sso), and the central double decrease when worked on the WS (it’s a sl2tbl-p1-p2sso). I’m certain with a little patience and practice you can master these stitches, even if they are new to you! 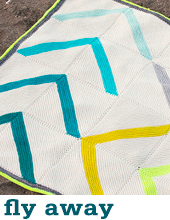 The ‘wrong side’ of the Bounce Blanket is pretty too! nervous to try knitting lace? Our free gothic lace cowl (or scarf) pattern is an excellent introduction to lace knitting, and we have a step-by-step tutorial on how to read both a text and charted lace pattern. Each lace increase and decrease technique is also explained through in-depth photo and video tutorials. So grab a knit friend, and learn to knit lace today! Have a friend who would love to try? Click the links below and share this post! I have the perfect yarn for this but it is 4 ply. Is it possible to adjust this pattern to a 4 ply yarn? Hi Rachael – absolutely! You just need to add some stitches in a multiple of 12 and use a smaller needle. So you would add 12, 24, 36…… It will depend a bit on your gauge, you may want to do a little swatch….or you may just want to wing it! Just gorgeous! Can’t wait to try it out! hooray for the pattern launch, it’s absolutely stunning! And I love the wrong side, too- just goes to show how lovely the design is. Oh it’s gorgeous! 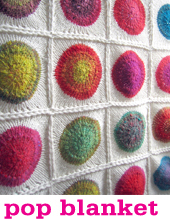 Do you have a group for test knitters? It’s my new favourite thing! Yep, send a message on Ravelry and we will add you to the list!